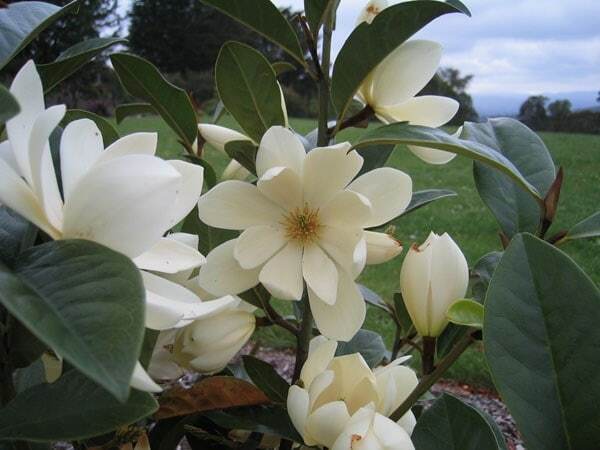 Raised by the New Zealand breeder Mark Jury (who also brought us Magnolia Black Tulip), this wonderful new magnolia produces an abundance of cream flowers along the length of its stems in spring. Unlike many of the other spring-flowering types, the foliage of this magnolia is mainly evergreen, although it may shed its leaves in colder winters. 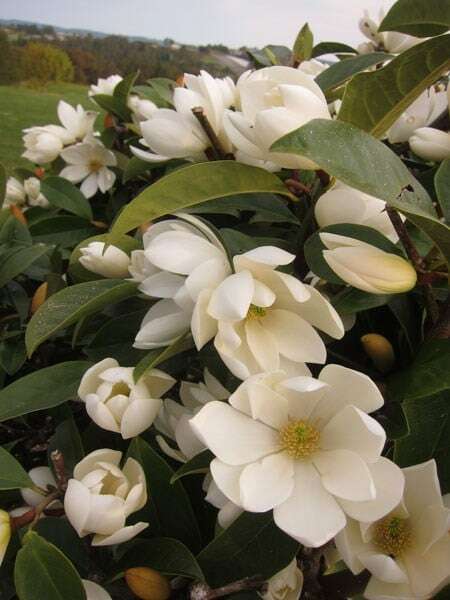 It makes a fine stand-alone specimen, especially in smaller gardens where its compact form will not dominate, while its naturally bushy habit makes it ideal for creating an informal screen. 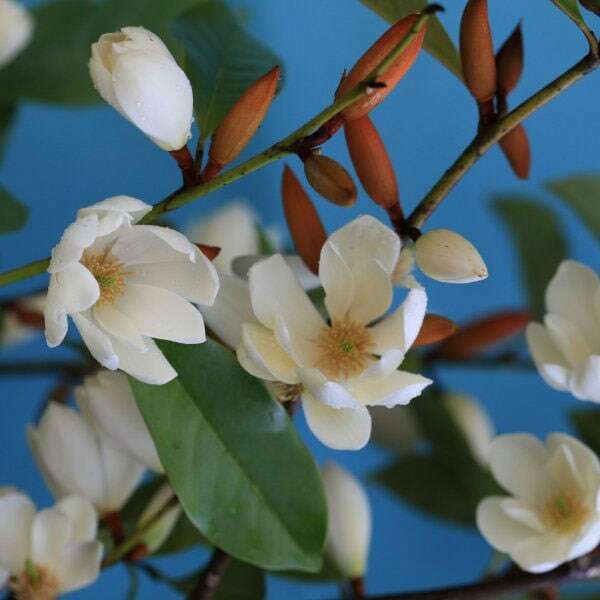 A stunning new addition that is easy to care for, reasonably fast growing and will start to produce its lightly scented flowers on young plants. 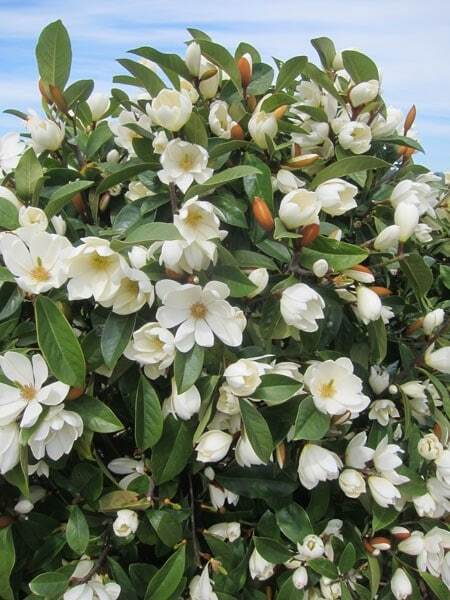 Garden care: Plant in a sheltered spot, away from strong winds. Requires minimal pruning. Remove any broken, diseased or crossing branches in spring. 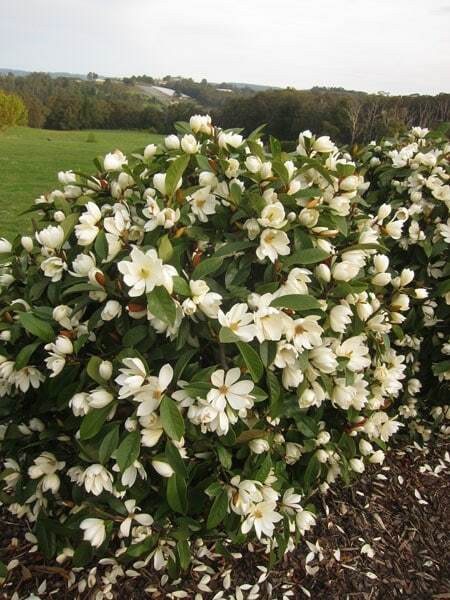 Mulch in spring with manure or leafmould, especially on dry soils.